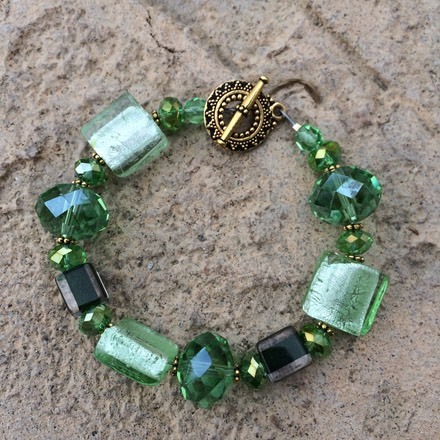 A Chunky, Blingy, Green Bracelet! A lovely mix of Large Crystals, Foiled square beads, and "Cane" Glass beads. Gold Plated fine Pewter components. Toggle Clasp. 7" long.